Let’s talk drills. More importantly the Ryobi One+ Brushless Hammer Drill versus it’s little cousin, the Ryobi One+ Drill Driver. Alright Stop! Hammer Time! Sorry, couldn’t resist. Besides, we all know I’d rather “Stop, Collaborate and listen” anyway. Sorry, that’s two Vanilla Ice references in the last month. Don’t worry… I’m sure I’ll have more. When we talk about Brushless Motors and Ryobi tools, the 18v One+ Brushless Hammer Drill (Model #P251/P1813 kit) is the grand daddy from the team green line up. 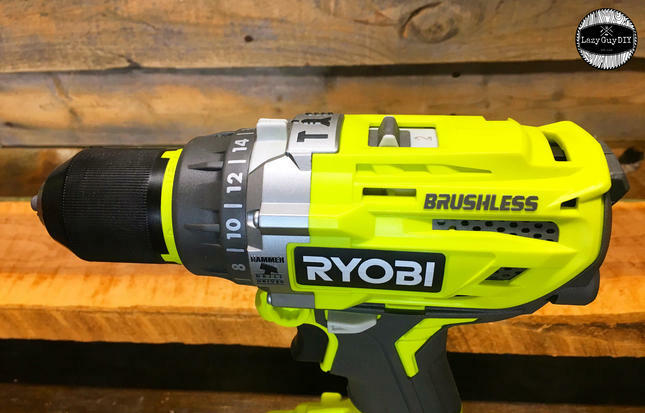 We’ve since seen the brushless routers and sanders from Ryobi more recently, but when this Hammer Drill came out the other companies in the industry were put on notice. 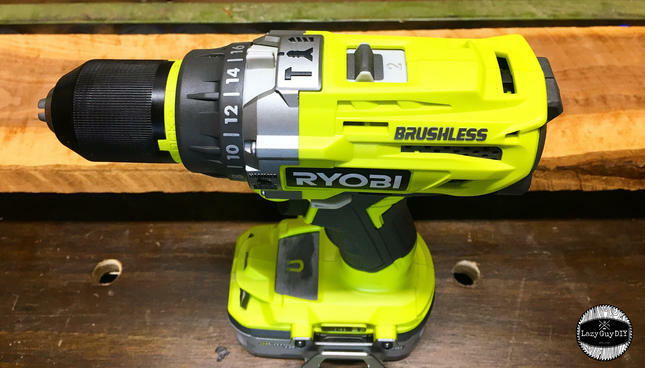 It retails exclusively at The Home Depot for $149.00 (with 4amp hour battery and charger), which might raise an eyebrow considering the normal Ryobi One+ 18v Drill/Driver (model #P208B) retails for $99.00, but let’s do a quick tale of two drills. “It was the best of times, it was the worst of times…” Sorry, that’s “A Tale of Two Cities” lets talk about pure unadulterated power and torque. The standard drill driver (pictured on the right above) runs on a 2amp hour battery, has 350 lbs. of torque and two (non-load) speed settings of 0-440 and 0-1600 rpms. That matches well for the industry for DIY-Grade drivers. But then take a look at the Hammer Drill… With the 4amp hour battery it boasts 750 lbs. of torque and two (non-load) speed settings of 0-410 and 0-1800 rpms. That extra 400 inch lbs. of torque says it all. When you pull the trigger you immediately know this beast has some teeth. 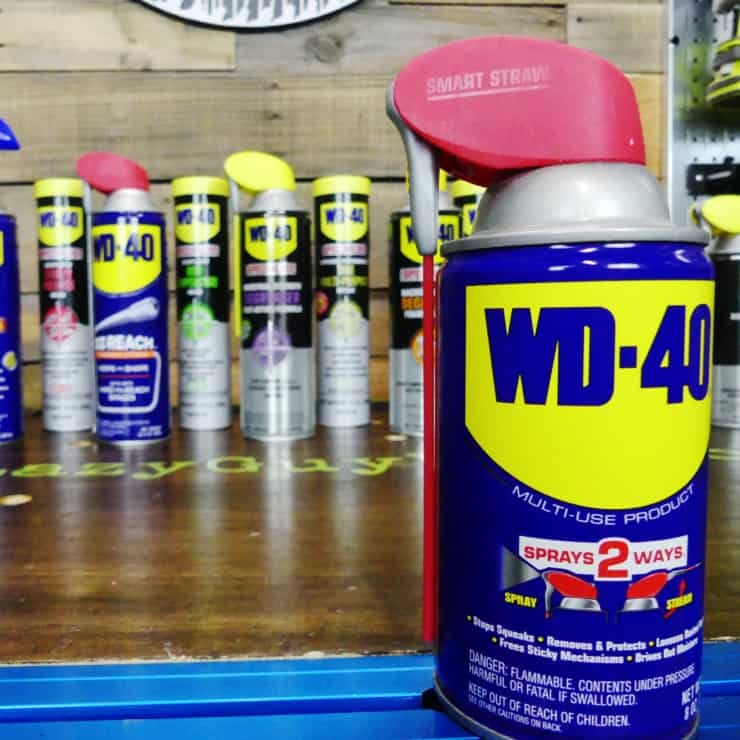 At the time of release this drill was actually more powerful than most pro-grade drill models offered by other companies that were selling at a much higher price. That was the side by side, but this drill is actually a brother from another mother and here’s why: The hammer drill has three separate settings for material: Drill Mode, Drive Mode and Hammer (time) Mode, so let’s explore each. Drill Mode – This is your standard setting and most comparable to a standard drill… but with 400 lbs. more torque for drilling holes into wood, plastic and metal. Drive Mode – Similar (but not exactly) to an impact driver, this setting is for driving in screws and bolts into material. Hammer Mode – For drilling holes into concrete and masonry. In addition to the three mode settings, the brushless motor (when using the 4 amp hour battery) provides 50% longer runtime and 25% more power compared to the previous hammer drill model (P214). 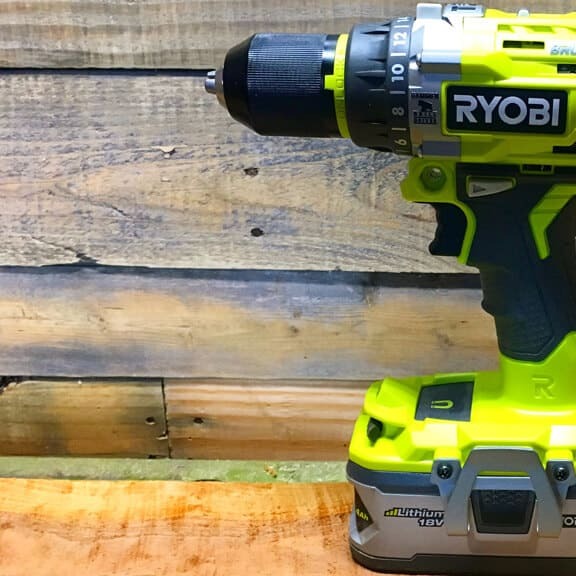 Like most of the current Ryobi line up, the Hammer drill comes with the “Mag-Tray” for quick storage, a belt clip and oh yeah… LED headlights to illuminate your work surface with a shut off delay. But let’s not forget… there’s an optional side handle you can easily add and remove for additional leverage for the bigger projects. So when you put this Hammer Drill to the test you can immediately feel the difference from previous models. In addition to the more ergonomic grip you can really feel the extra torque. When using an auger bit or forstner bit there is a significant improvement over the standard drill and the previous Ryobi Hammer Drill models. The performance is still going to be slightly less than a corded hammer drill so if you go with a bigger bit or thicker material eventually you’ll reach overload capacity and the drill will stop progress before you damage the motor. As with all brands right now, corded models will continue to have the power edge. So that means with masonry or concrete, you’re going to be reaching the limits of a this tool if you’re trying to drill significant holes into your material. That’s a pro-grade task and not what this model was made for. Which Drill Driver Has It? For me personally, this hammer drill is going to completely replace my standard Ryobi drill driver. With the upgrade in power and additional functions, there’s no need for me to grab the standard model first. I do a lot of work with pocket holes and this will absolutely dominate that task. Considering this kit also comes with a 4amp hour battery and charger that makes this package an absolute steal for $149.00 (which is only $49 more than the P208B kit) so put that raised eyebrow down. 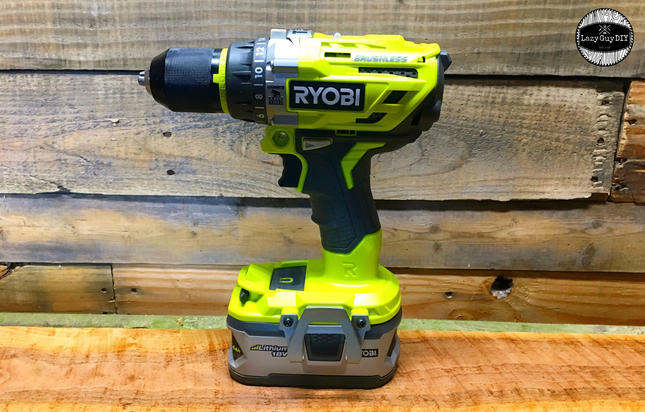 Whether you’re already invested in the Ryobi One+ family or this is your first purchase to team green, you get a ton of value here for a very powerful drill driver. If you’re looking for a tool specifically for masonry and concrete be reasonable with your expectations because you might actually need a significantly more expensive pro-grade model for your task. All in all this is a great upgrade to the Ryobi line and definitely worth the bargain price if you’re in search of the all import “more power” (insert Tim Allen noises) tool. 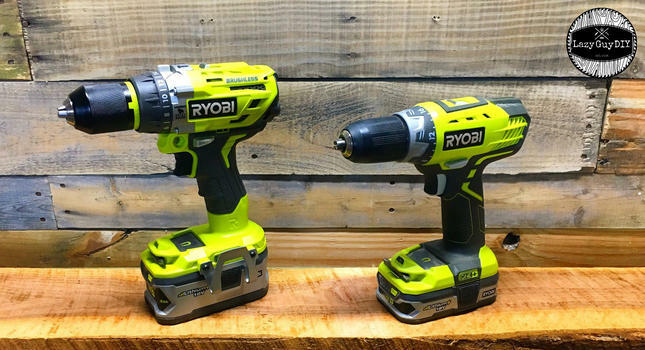 The Ryobi One+ 18v Brushless Hammer Driver Kit is available exclusively at The Home Depot with 4amp hour battery and charger. Want to check out more reviews for Ryobi? 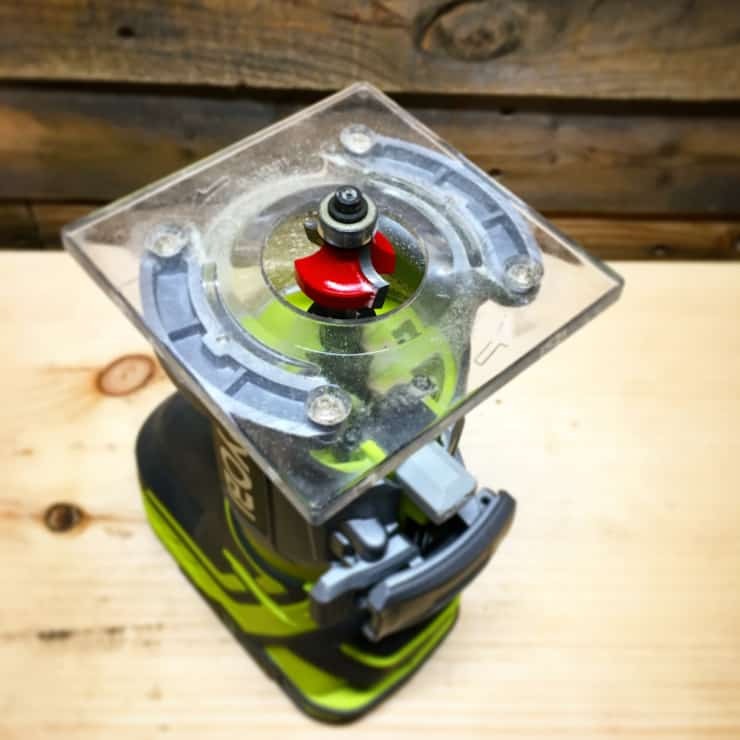 Check out the Ryobi Tool Review Feed! *This review is Sponsored by The Home Depot. I have been compensated for my time and provided with products in exchange for my review. My opinions are my own… unless I’m writing this under duress, but I’m not. The safe word is Marshmallow so you know it’s me. 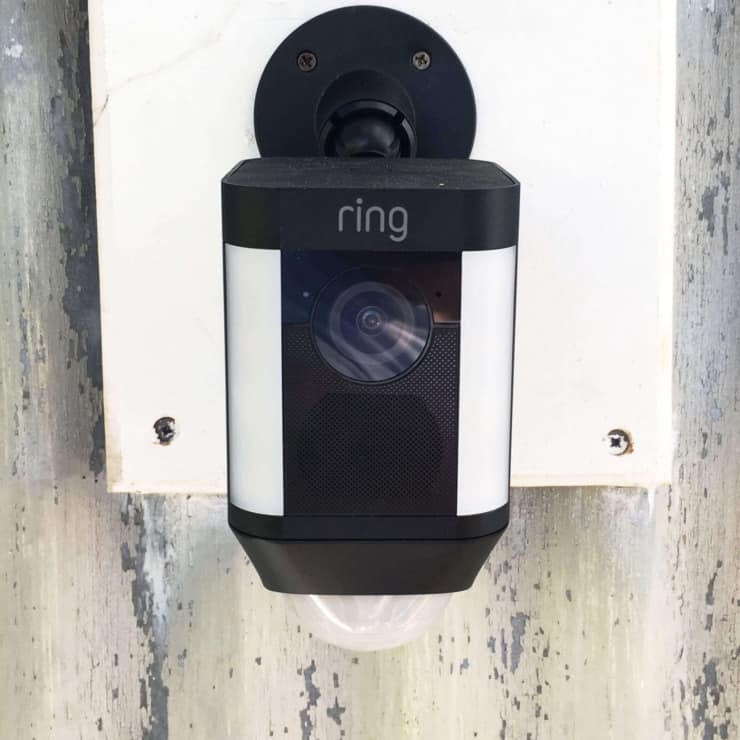 Product links included in this review are affiliate links, which means if you make a purchase using a link, a portion of your sale will go to this website at no additional cost to you. I was planning on buying this to drill holes for strong ties to sit wood fence posts in on concrete. I have to drill holes for 5 posts 4 holes in each to hold the strong ties to the concrete, 20 small holes. What would you recommend, we use the ryobi brand for most of our tools including our weedeater and we love them. I’m sorry to hear that about yours. Ryobi and Home Depot have a great warranty for new tools though like you said. Brushless motors do make a huge difference. Wait until you see some of the newest brushless drills coming out this fall, they are packed with power!